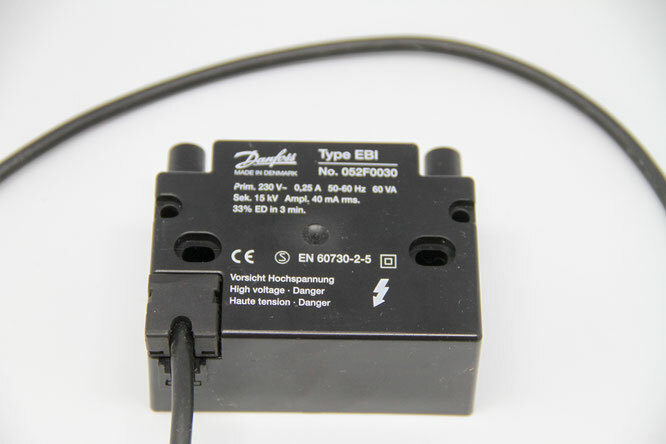 The Ignition Transformer EBI is a part off the ignition burner. The ignition burners that contain the electric ignition unit can be found at sea going ships, containers ships and chemical tankers. Our ignition transformers are from Danfost Burner Components. Type 05ZF0030 is a two pole Ignition Transformer EBI. You can find the Ignition Transformer EBI in the connection on the headburner. The Ignition Transformer EBI provides the reular ignition off the gas and oil burners. The bipolar Ignition Transformer EBI provides the ignition between two ignition electrodes. Because off his low weight and small size, the Ignition Transformer EBI can easaily fit into modern, compact burners and in traditional burners. 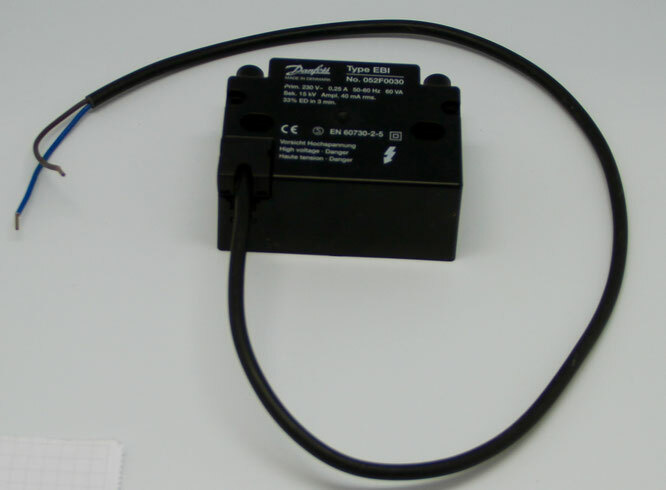 If you have a ignition trafo with 230 volt, you can replace it with the Ignition Transformer EBI. If there is no flame when you ignit the ignition burner, the Ignition Transformer EBI is defect. To solve this problem you should replace the Ignition Transformer EBI.